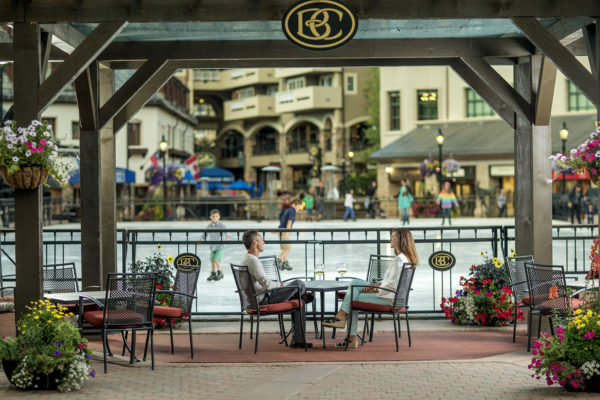 Alpha 3.0 Jacket Our premium iconic resort ski jacket has become better. A new masculine sign off incorporates clean design lines with cutting edge technologies. Our new Life pocket™ which is integrated in the chest pocket will preserve the battery life span of your mobile longer in cold environment to allow you to keep track of work and staying updated on social media. 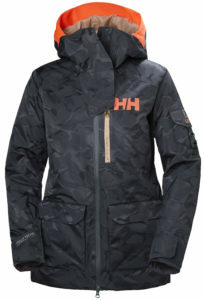 You will not fall short of technical highlights on this jacket with a light 4 way highly breathable, waterproof, stretch Helly Tech® Professional outer fabric and a brim with hi vis fabric to unfold when the slopes are crowded to keep you visible for fellow skiers. 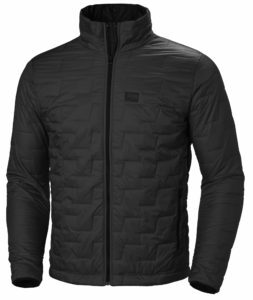 The jacket use Primaloft® Insulation with a body mapping philosophy to keep you warm in the right areas and our highly innovative H²Flow™ system turbocharging mechanical venting keeps you dry, warm or cool depending on the outside conditions. Premium ski features including stretch powder skirt, stretch lining and wrist gaiters with thumb hole are added for your comfort. LIFALOFT Insulator Jacket With increased warmth, lightweight insulation and superior moisture management properties, Lifaloft™ technology is an insulation revolution that will keep you warmer with less weight and bulk compared to traditional polyester insulation. Developed in cooperation with Primaloft®, Lifaloft™ is a combination of LIfa®’s unique insulation structure and Primaloft®’s extensive knowledge in synthetic insulation. 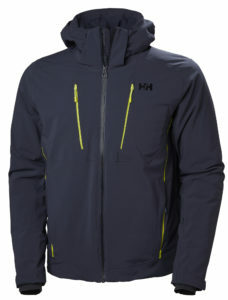 HH Lifa Active 1/2 Zip H LIFA Light is a performance base layer, delivering lightweight insulation and comfort for everyday use and high-performance activities. 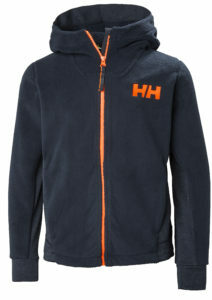 HH LIFA light constructed with 100% Lifa® fiber is quick-dry, very breathable and super lightweight. Continually perfected over the last 40 years, Lifa® Stay Warm technology is the unique ingredient of all Helly Hansen base layers. Powderqueen 2.0 Jacket For all those days when you rule the mountain, the women’s Powderqueen 2.0 Jacket has been updated with a utilitarian military look but still with the loved longer relaxed freeride fit to allow you to feel free and challenge the mountain. Built for joyful freeride days on big mountains, this highly-breathable, waterproof, PrimaLoft® insulated ski jacket in a relaxed fit keeps you protected while you find this new line, the high collar keeps you warm during cold lift rides and protected against deep powder. Hi viz details and brim will make sure your friends finds you in deep powder and a Helly Tech® Performance 2L fabric in combination with the innovative H²Flow™ system dramatically improves your comfort and will make sure to keep you dry, warm or cool depending on the conditions and intensity. We use premium freeride specific features throughout, including jacket-pant compatible powder skirt, higher collar, goggle shammy, and Recco® advanced rescue system. 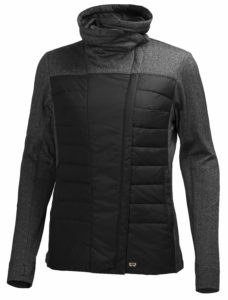 Astra Jacket A perfect layering piece or can double as a light jacket when it’s not so cold outside, this mix of soft herringbone jersey with Primaloft® insulated front and back panels brings style and comfort to your everyday wardrobe. 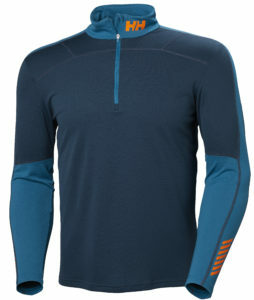 HH Lifa Merino Graphic 1/2 Zip HH LIFA MERINO is our warmest base layer, perfect for any type of activity in cold weather. 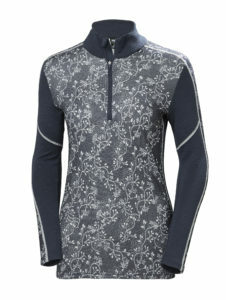 A unique 2-in-1 base layer with 100% merino wool combined with Lifa® Stay Warm Technology in a 2 layer construction. HH LIFA MERINO delivers all the great benefits of merino wool fibers plus the unique properties of technical LIFA(r) fibers with amazing graphics. 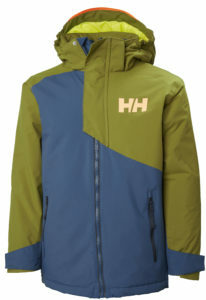 JR Cascade Jacket A classic color blocked ski jacket with water resistant fabrics and hi vis details for extra visibility. JR Legendary Pant A classic fitted and fully waterproof Helly Tech® Performance ski pant for Juniors with a pop of color in the details, extendable leg length to cater for the fast growing kids. Chill Full Zip Hoodie Super comfy and warm lightweight pile combined with slick face fleece in panels in this full zip hoodie with drop tail and hand pockets. Perfect for layering or as a light jacket. With every 3,000 feet of altitude, UV levels rise by 10%-12%, so don’t forget to apply and reapply sunscreen. We recommend Supergoop! 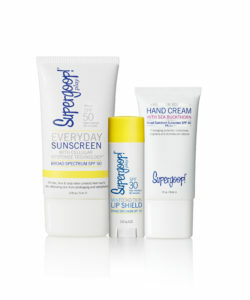 Broad Spectrum Products as they protect against UVB(urning) and UVA(ging) rays, as well as Infraed rays too.